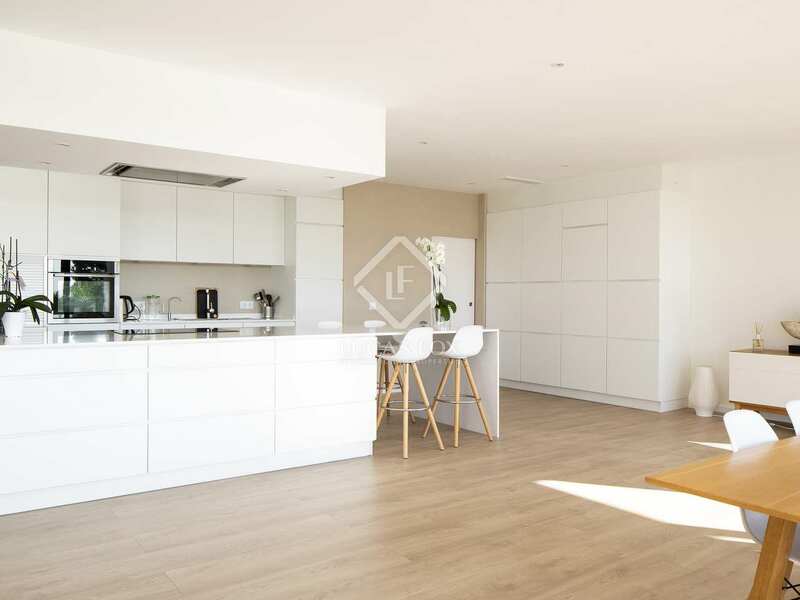 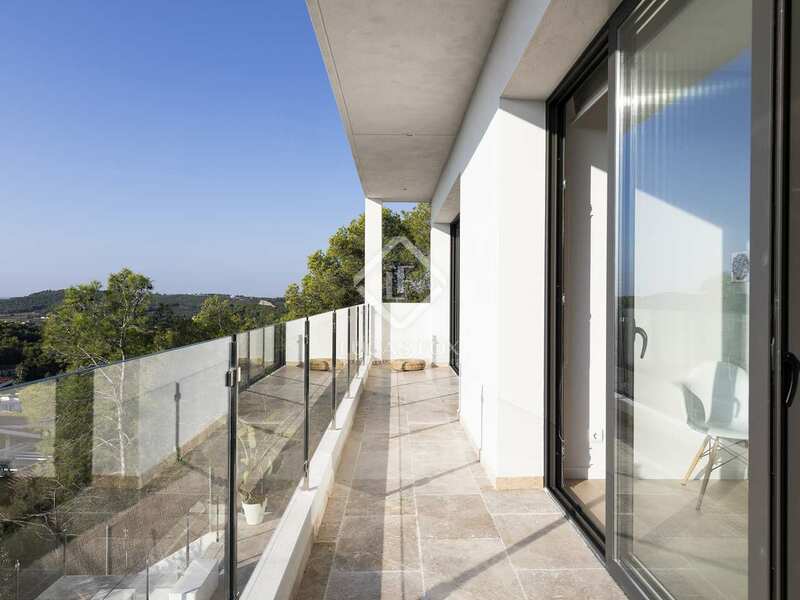 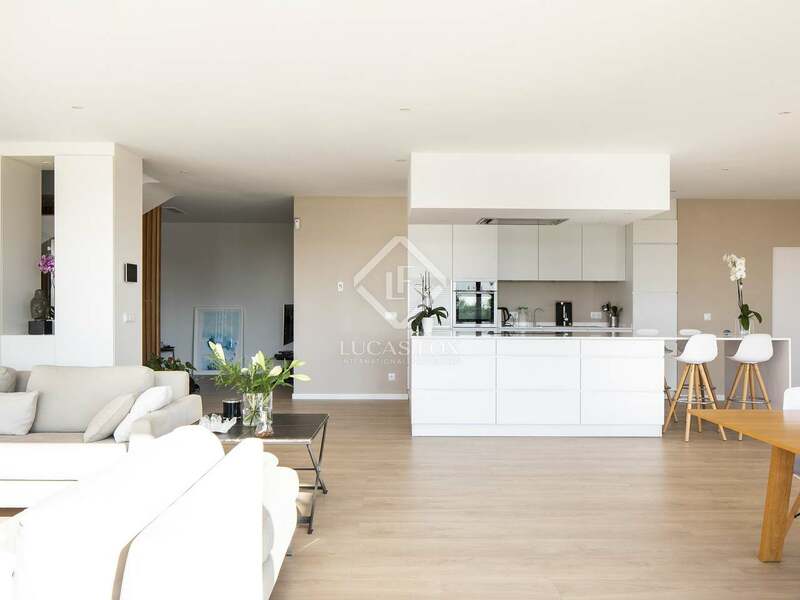 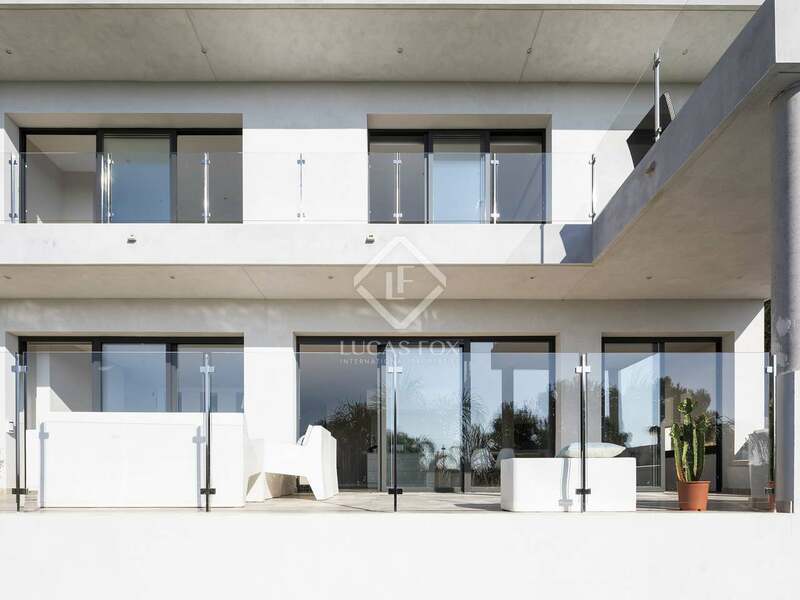 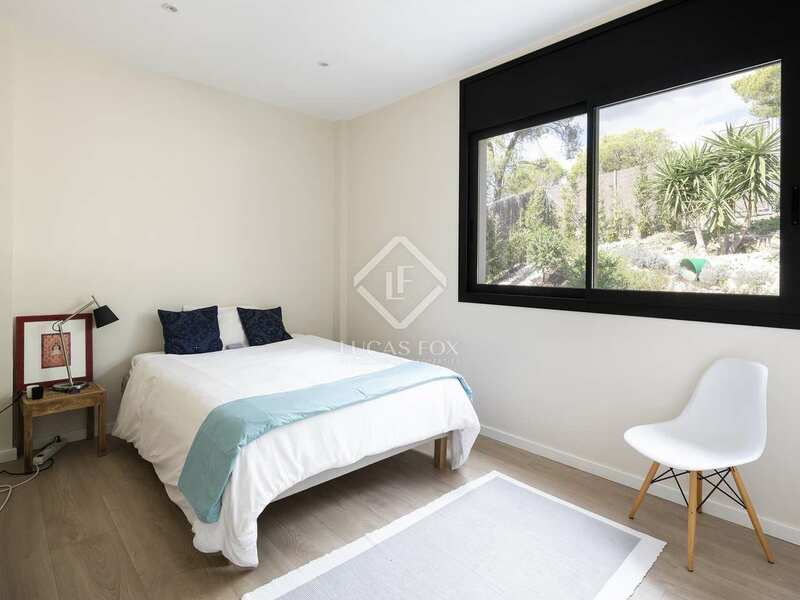 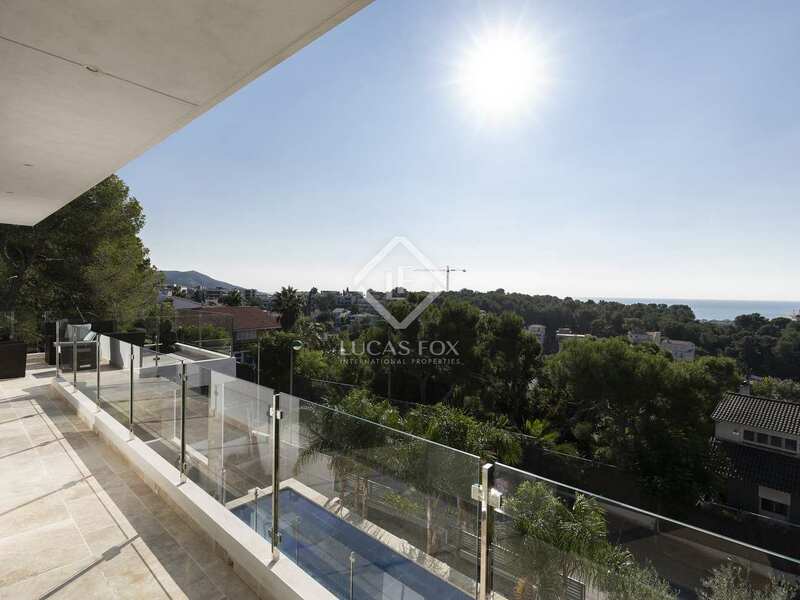 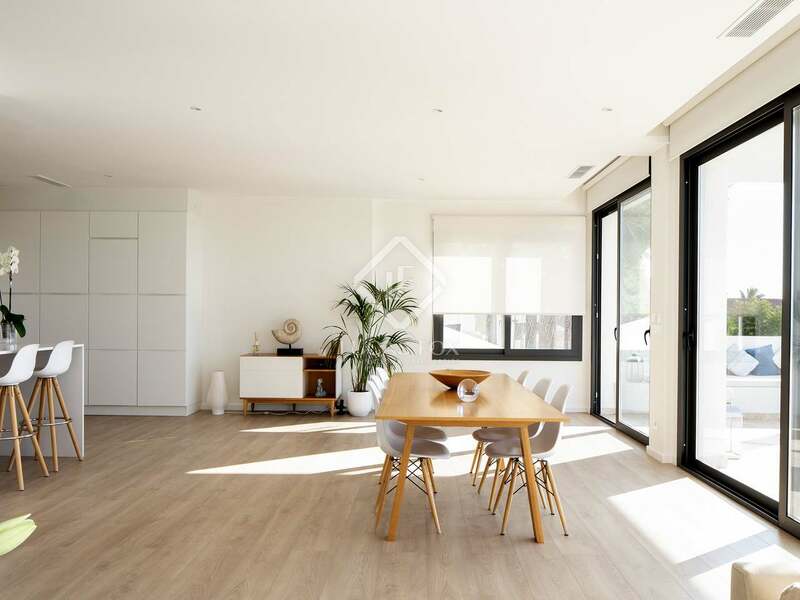 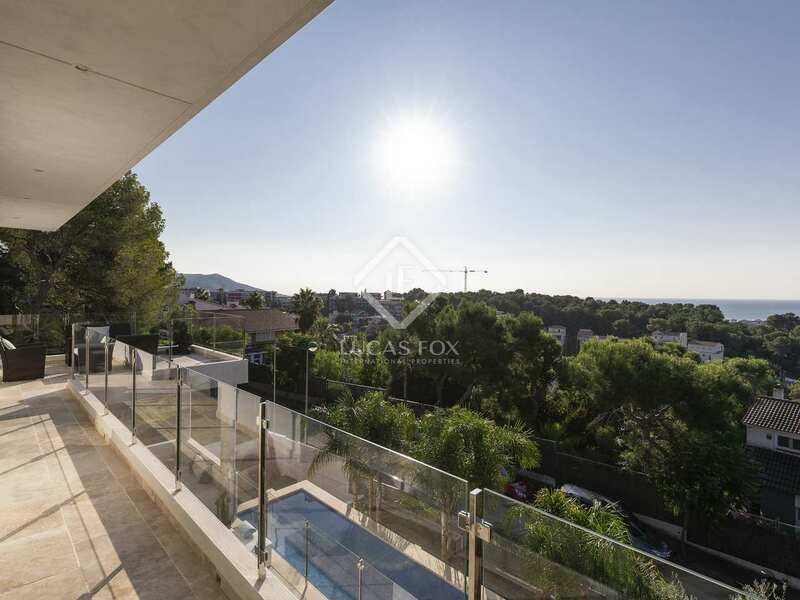 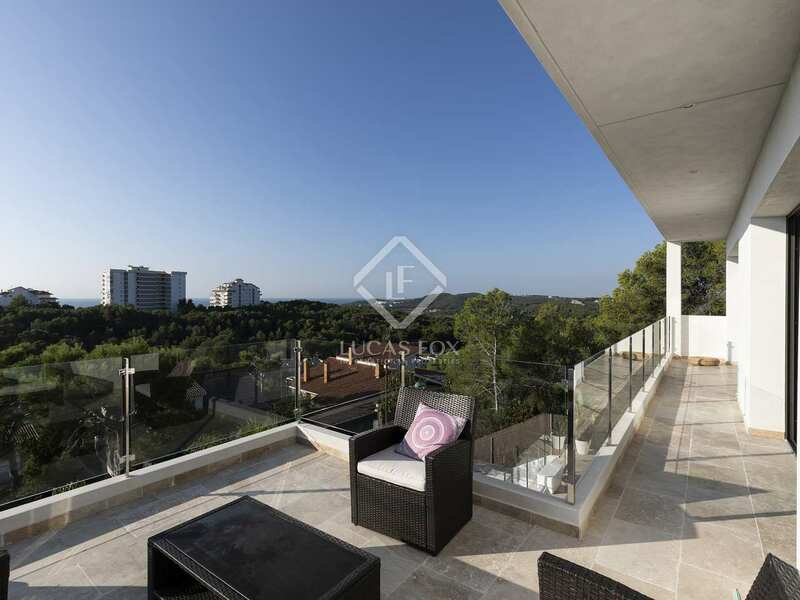 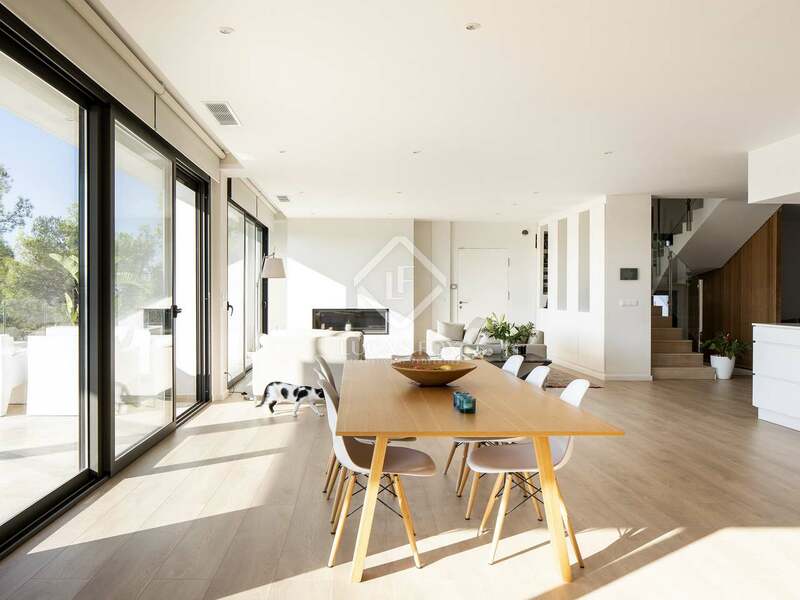 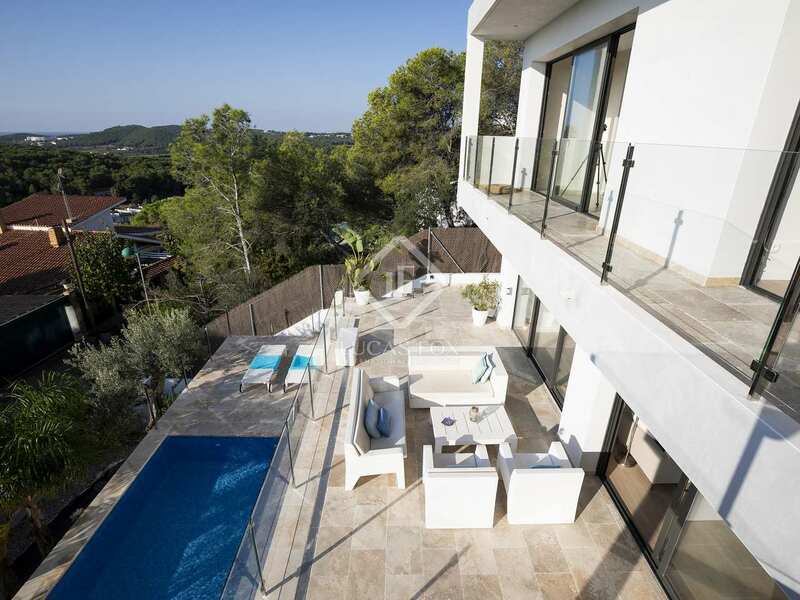 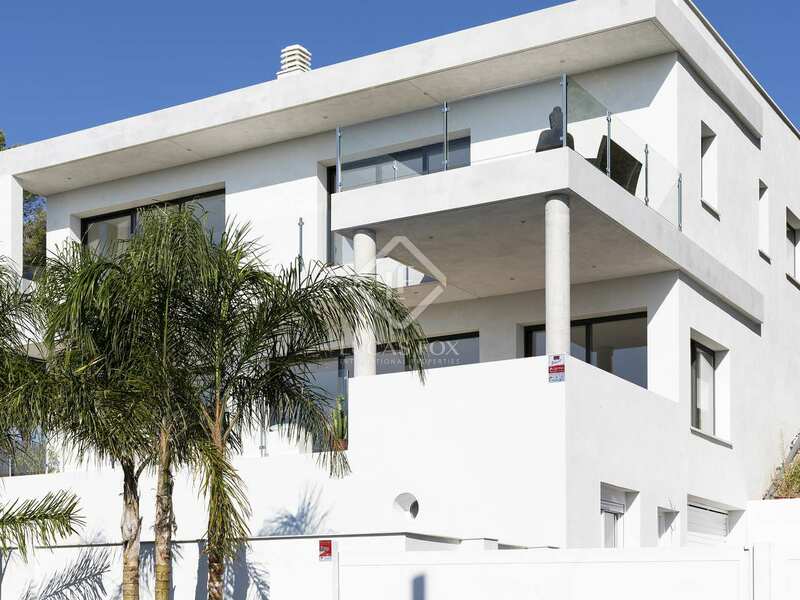 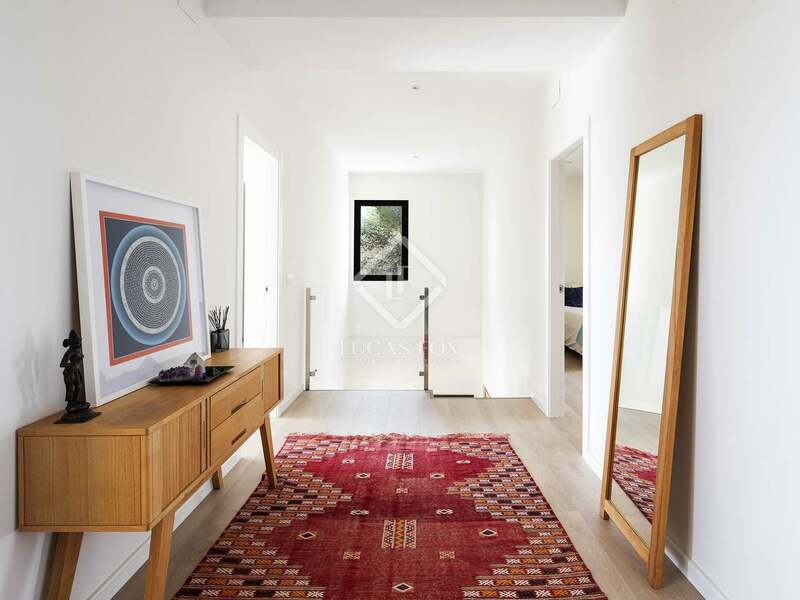 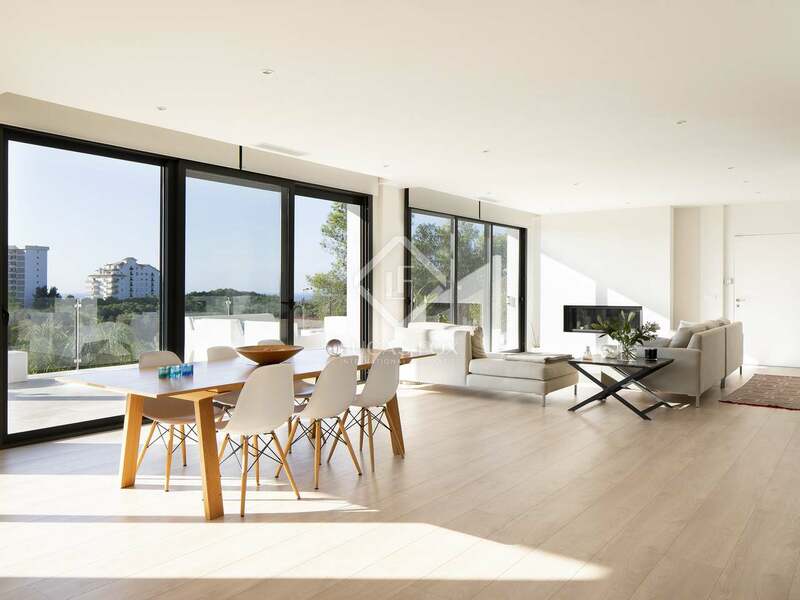 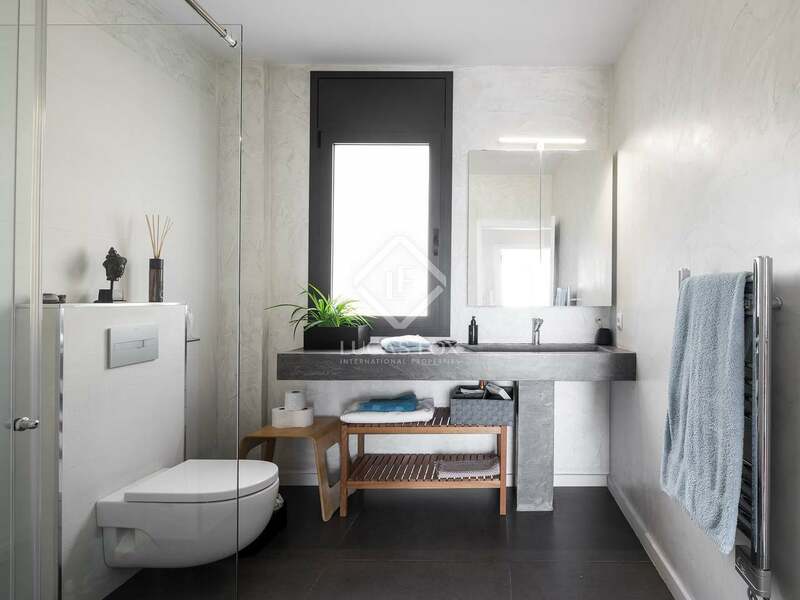 Located in Vallpineda, popular amongst locals and internationals alike, this newly built villa would make an exceptional family home walking distance to the centre of Sitges. 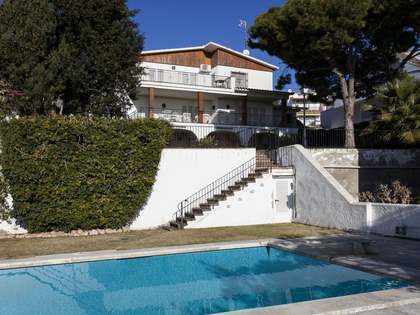 Vallpineda offers exceptional private sports facilities including indoor and outdoor pools, tennis and paddle courts as well as a horse-riding centre and is very close to the British School of Barcelona. 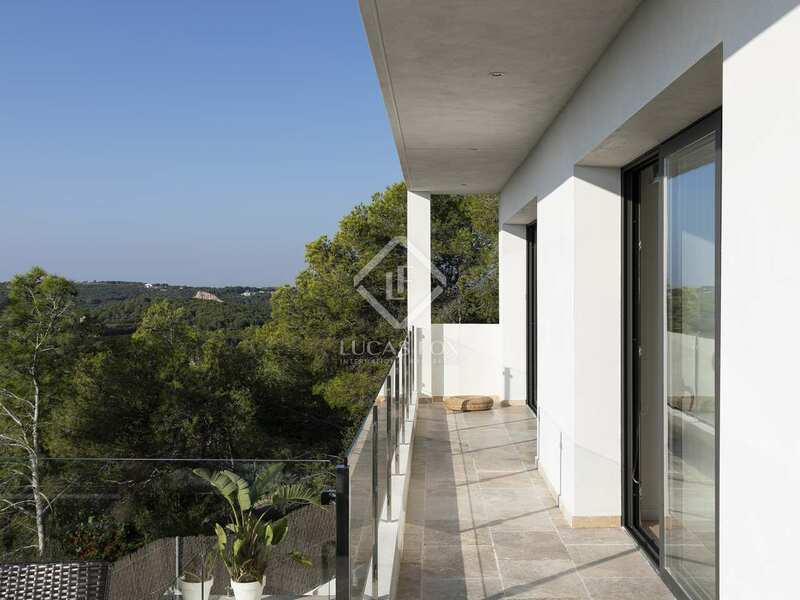 With vast terraces looking out to sea, the property offers stunning views whilst, backing onto protected parkland, it is peaceful and private. 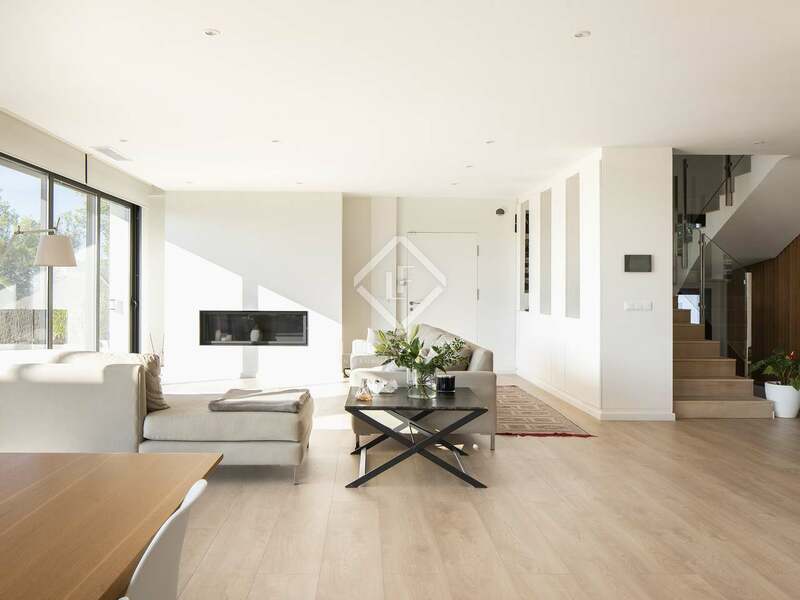 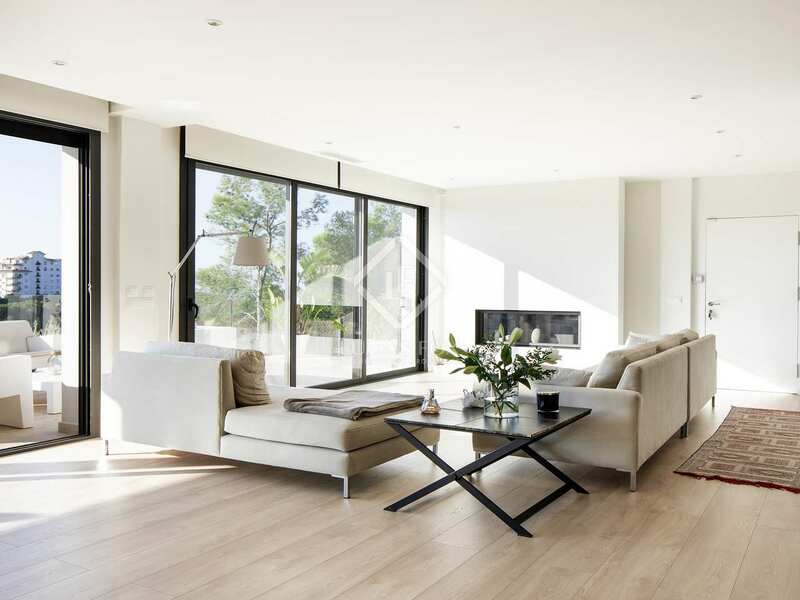 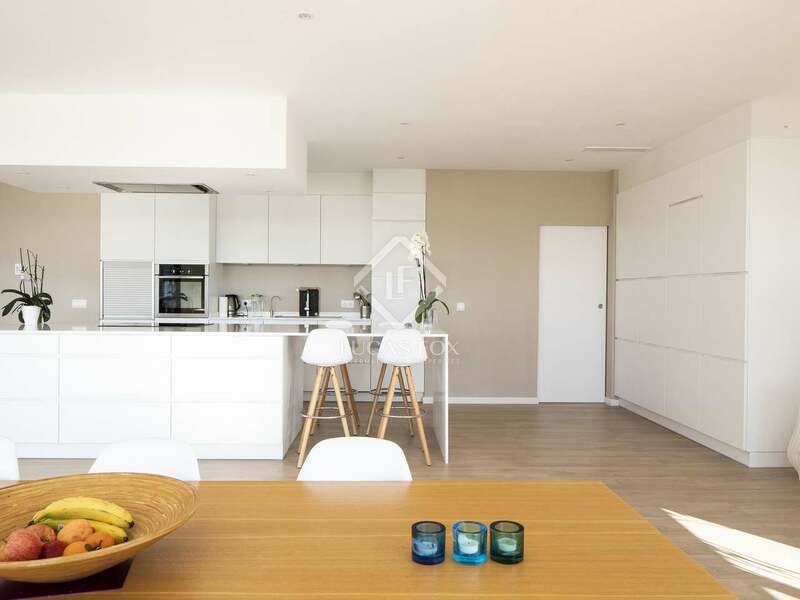 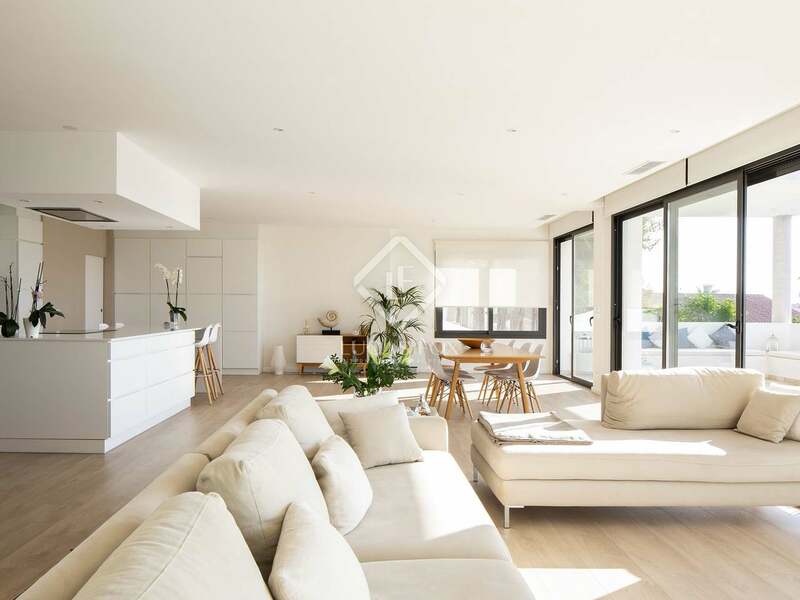 This contemporary villa offers large open living spaces, an abundance of natural light and elegant interior design. 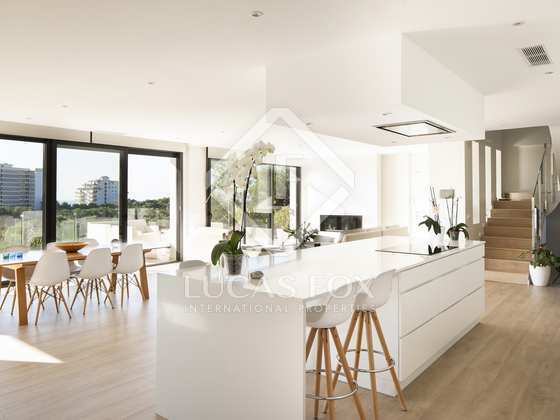 On the main floor, an entrance hall leads to the 90m² open plan living-kitchen area with a wall of glass sliding doors opening onto the semi-covered terrace with a built-in seating area and beautiful sea views. 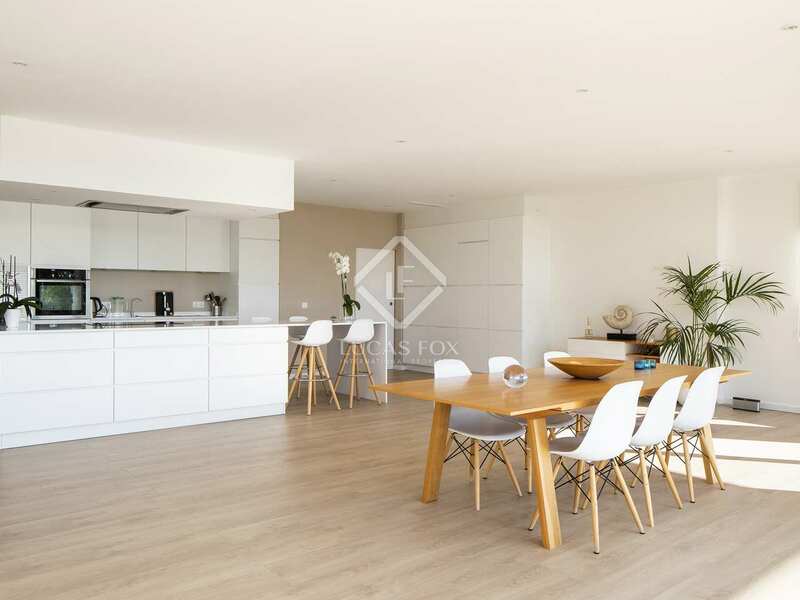 A snug corner in the living space is perfect for watching television and relaxing and there is large utility room behind the kitchen. 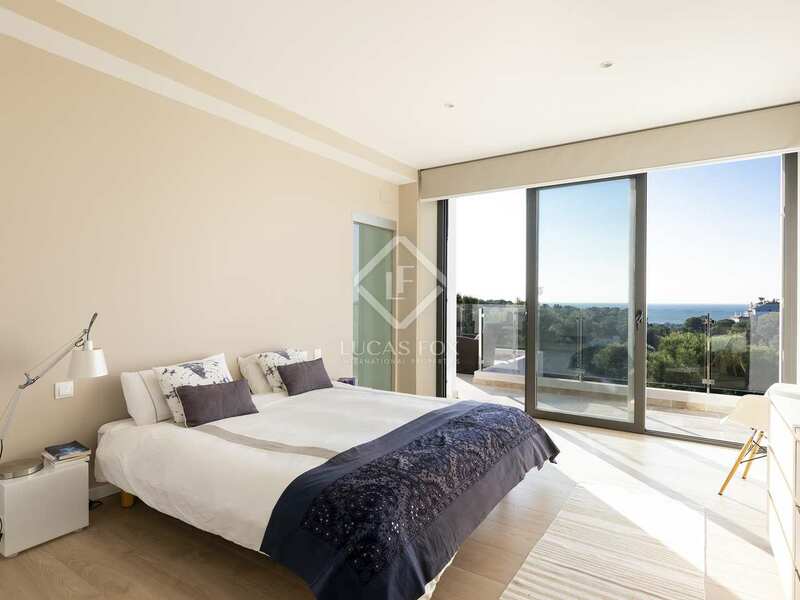 An open hallway on the first floor has, to the right, a large double bedroom with en-suite bathroom and access to a terrace and the master bedroom with en-suite bathroom, walk-in wardrobe and large private terrace from which the spectacular sea views can be enjoyed. 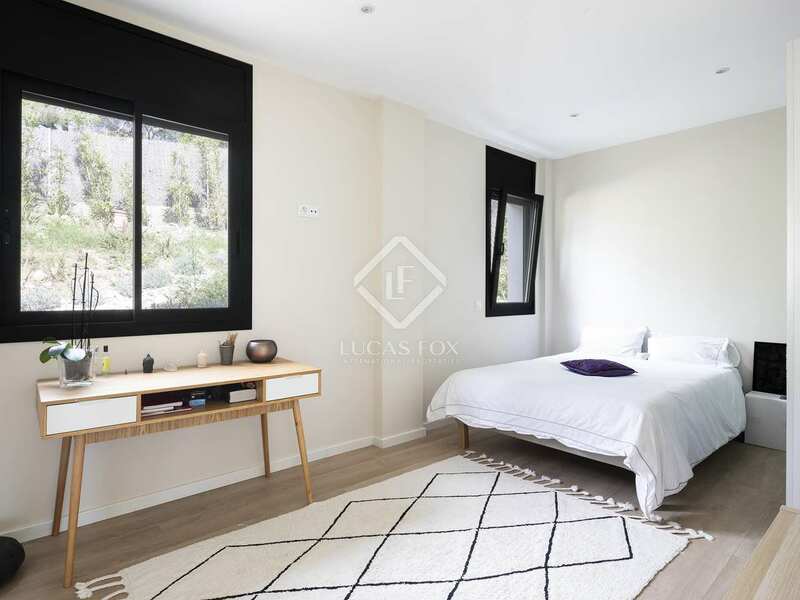 There are 3 further double bedrooms with a shared family bathroom. 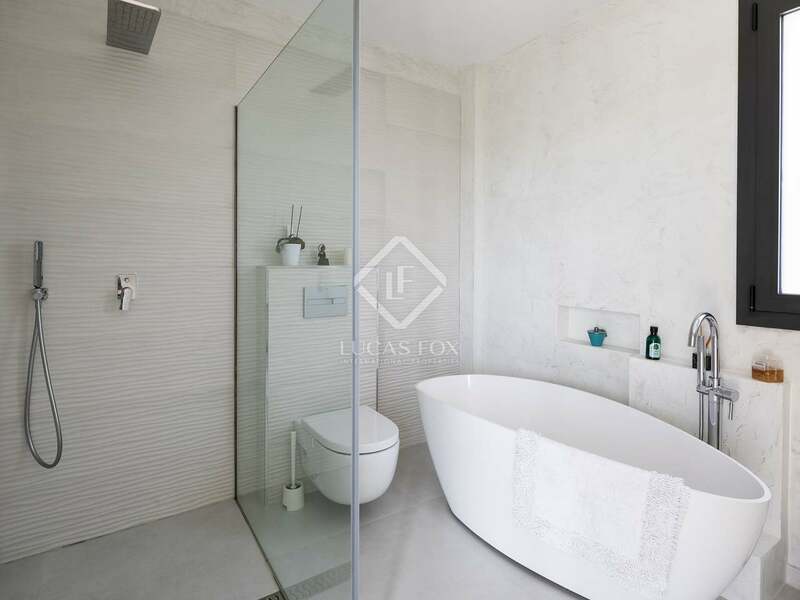 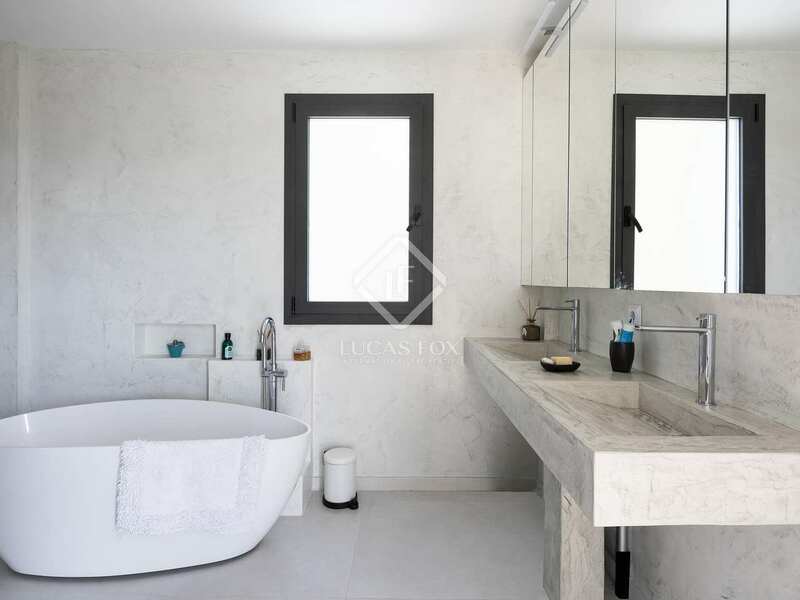 Each bathroom boasts attractive polished cement fittings. 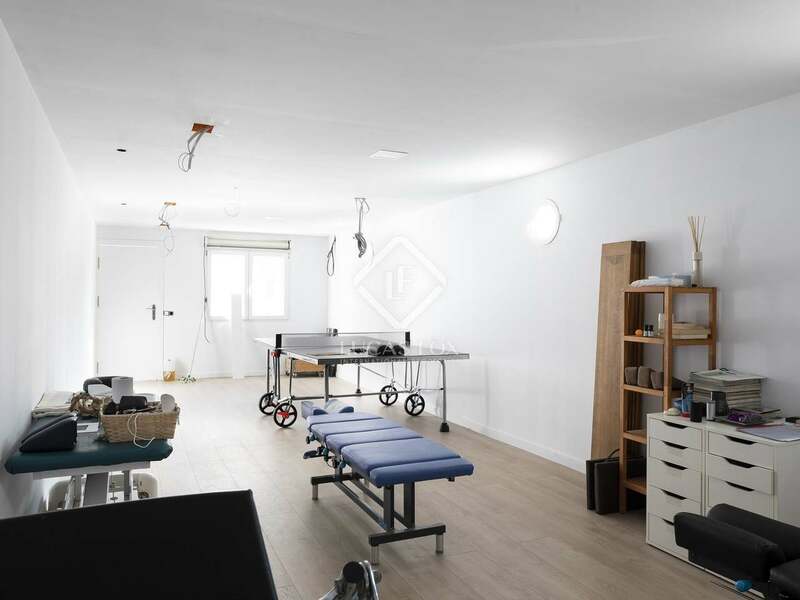 The lower floor is made up of a storage room and a large, open-plan room with natural light which would make an ideal gym or games room. 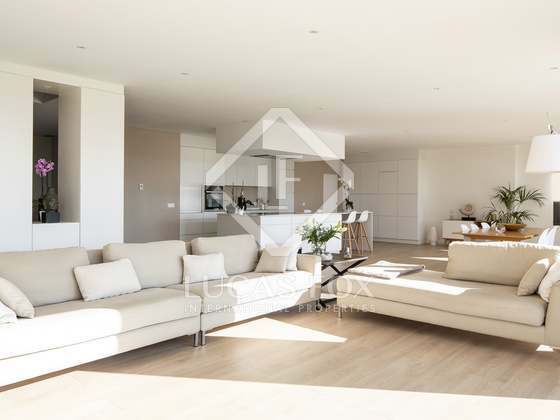 There is also a 1-car garage which could be opened up to create additional parking space. 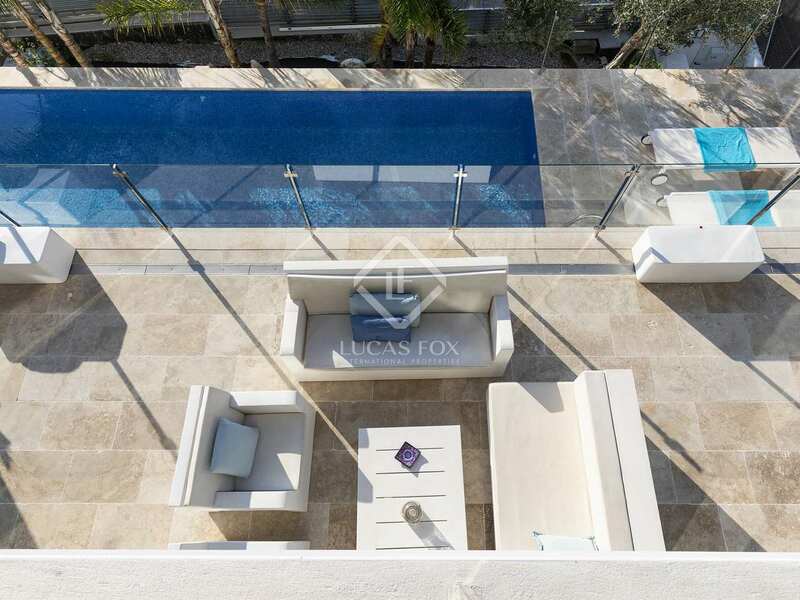 In addition to the numerous terraces with beautiful sea views, there is also an infinity pool and, to the rear of the property, a pretty planted garden. 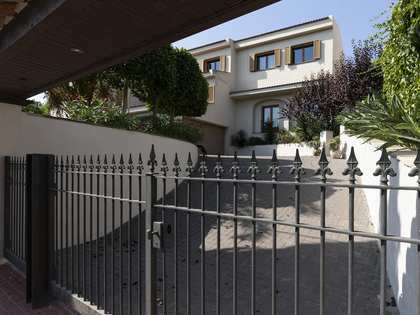 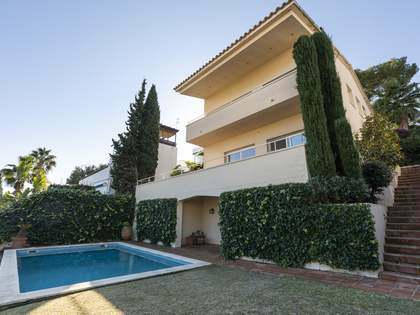 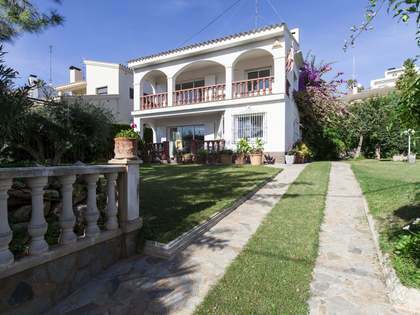 Villa located in Vallpineda, very popular with both local and international families due to its proximity to the British School of Barcelona and its private sports facilities including indoor and outdoor pools, tennis and paddle courts as well as a horse riding centre . 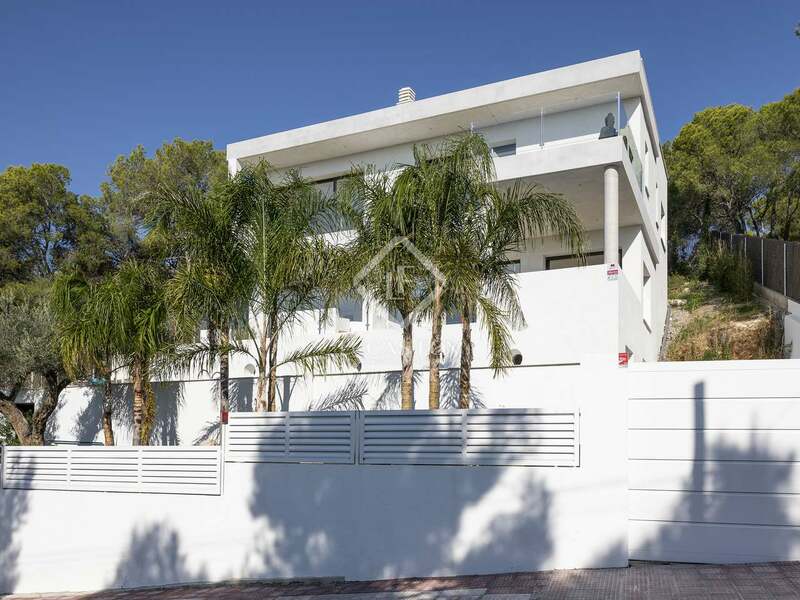 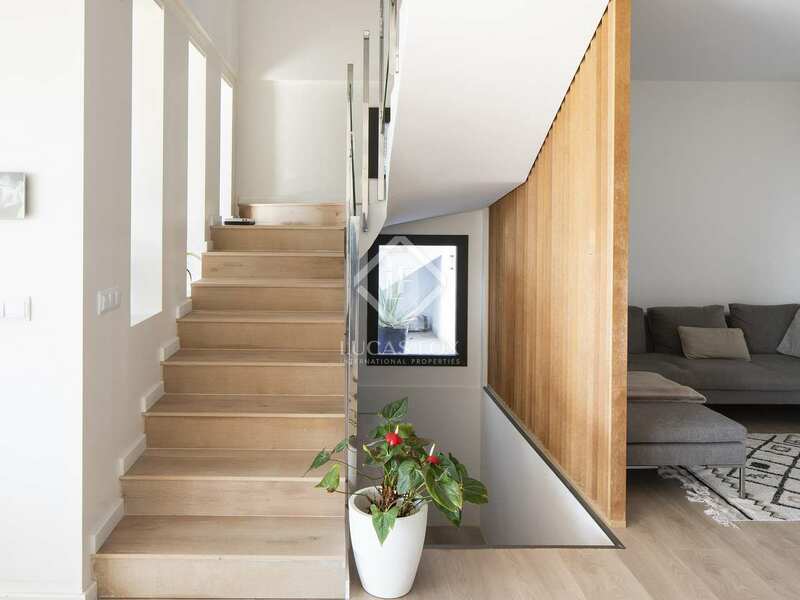 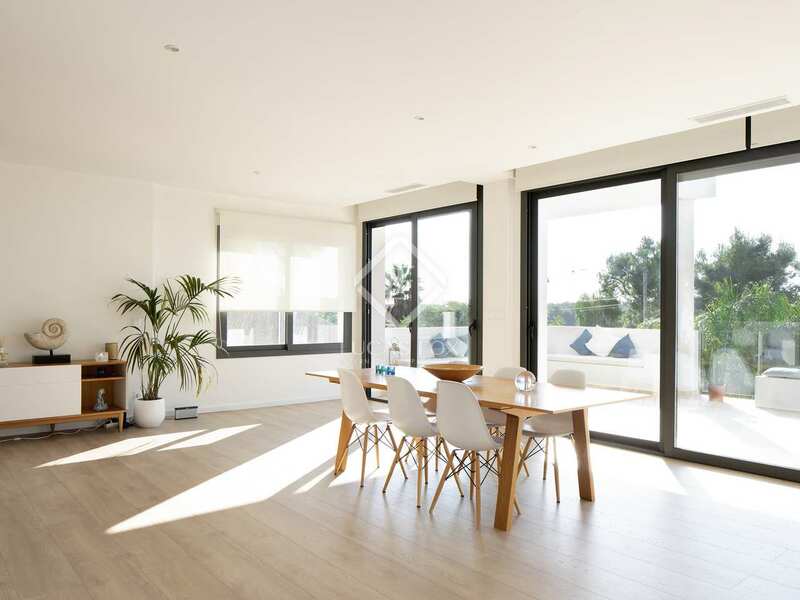 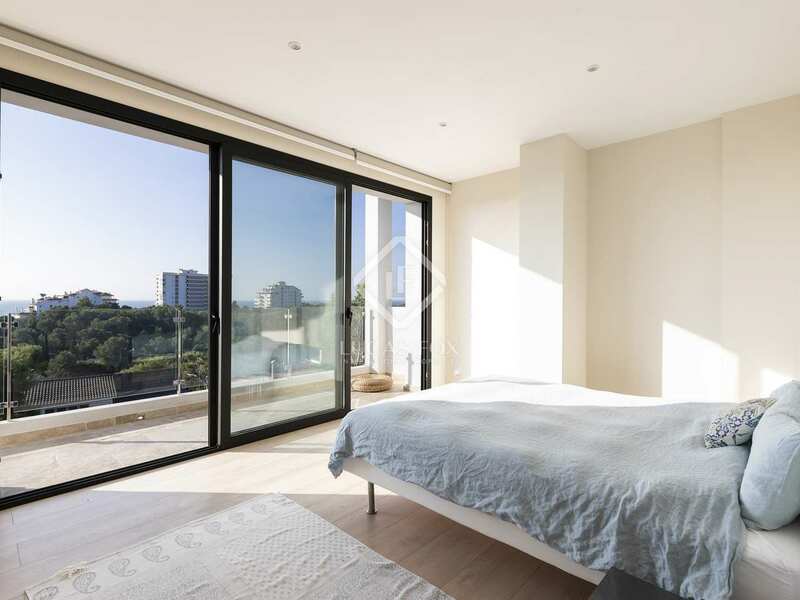 The area also has 24 hour security and is walking distance to the centre of Sitges with its excellent commercial, gastronomic and cultural offering.